I graduated from Mater Christi in 1990 with no clear idea what to do next. I studied economics at La Trobe, however it wasn’t for me. Yet study interested me enough to try something else; marketing. I really thrived in this field which resulted in a diverse career with a global hotel chain, Nike and Jim Beam Brands Australia. I then travelled, and took a gap year as a tour guide in Turkey. I also followed my foodie passion and operated an award winning Carlton restaurant for 7 years before having children. This life change brought me back to the hills after 15 years of inner city living. Early in my career, with great parental advice, I purchased my first property. This began a love affair with real estate and a desire to achieve my own financial independence. 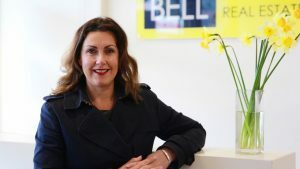 Now with 3 children under 6 and a home in Upwey, my initial love affair is now my career with Bell Real Estate in Belgrave. I hope that my own daughters will attend Mater Christi (as my mother and I did). I had so many wonderful memories and foster that strong, independent spirit that our young women need to have. It’s great to be back home.